Palmetto Dunes Oceanfront Resort is a tropical paradise on Hilton Head Island and is one of the premier resort destinations in the world. This prestigious community offers one of the finest stretches of pristine beach front property. Sub-tropical landscaping with an exotic garden atmosphere has long been the signature of the resort.There are bike trails throughout the resort, 25 tennis courts, and three championship golf courses, featuring 54 holes of golf.This is luxury at its finest. Hilton Head Island was developed so that the entire island has a resort feel. There are no billboards, and there are strict guidelines for street signs and building colors, and buildings cannot be higher than the trees. While prices are still falling in some regions of the United States, the demand for luxury homes on Hilton Head Island has started to rise and will soon outnumber current inventory of oceanfront homes and condominiums. Palmetto Dunes oceanfront home prices historically are right behind Sea Pines oceanfront prices. 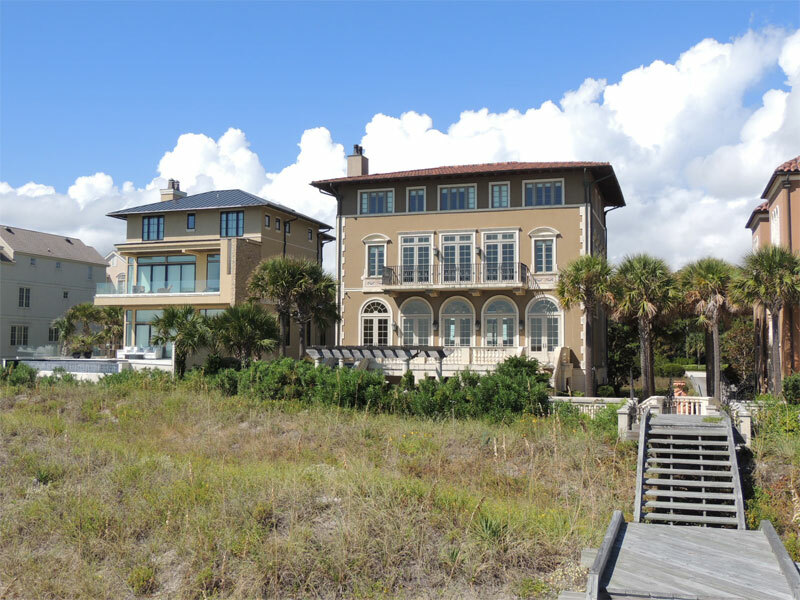 Palmetto Dunes oceanfront vacation homes generate tremendous income from short term rentals. Ever since it was envisioned and created as an ecologically-friendly beach resort destination, Palmetto Dunes has been winning accolades for the scope, beauty, and quality of its activities and amenities.Named the #1 Family Resort in the US and Canada by Travel and Leisure Magazine, it is located mid-island, in the heart of Hilton Head Island. Its 2,000 acres, nestled on three miles of sugar sand beaches, provide the perfect venue for three world-class golf courses, an award-winning tennis center, and an 11-mile lagoon, teeming with wildlife inviting guests in kayaks and canoes to share a pristine, natural environment with 40 species of birds and fish.The saltwater lagoon system is an ideal venue for boating, fishing, and touring. Palmetto Dunes enjoys a memorable reputation for creating unforgettable vacation experiences.Hilton Head Outfitters, located within Palmetto Dunes, offers kayaks, canoes, bicycles, fishing rods, and beach gear for rental. Guests who prefer quieter activities may stop by Shelter Cove to charter a boat or take a dolphin cruise. For waterfront shopping and dining, the Shelter Cove Harbour and Marina features a wide array of specialty shops, fine dining establishments and quaint bistros. A world-class golf destination, Palmetto Dunes boasts three superbly crafted, challenging golf courses, each distinguished by its legendary designer and each showcasing the natural beauty of Hilton Head Island. The Robert Trent Jones Oceanfront Course was named 2003 Golf Course of the Year in South Carolina. The Arthur Hills Course, where Tiger Woods and Phil Mickelson honed their skills as collegiate athletes, is built on a series of rolling dunes with palmetto trees lining the course. The Arthur Hills Course was ranked 2009 Course of the Year in South Carolina and is also the home of the Historic Leamington Lighthouse. The George Fazio Course, named for its famous designer, was constructed with the help of his nephew, famed architect Tom Fazio. For those who prefer tennis, or who like both, Palmetto Dunes serves as an excellent choice. The internationally-acclaimed Palmetto Dunes Tennis Center features 23 clay courts and two Nova ProBounce courts, eight of which are lighted for night play. The tennis center offers a full schedule of seasonal activities, instructional programs, and daily round robin tournaments. Tennis Resorts Online ranked the Palmetto Dunes Tennis Center 5th in the World, and the junior program 3rd in the World, and the center itself 2nd in the World for Best Instructional Programs and Events. Live in Paradise! Our company, Hilton Head Luxury Homes, Inc., specializes in luxury real estate on Hilton Head Island – oceanfront property, golf view property homes, lots, and rental property. Visit our website at www.HiltonHeadLuxuryHomes.com . Our email address is HHLuxuryHomes@gmail.com. Call us at 800-414-7253 or direct at 843-384-7253. We look forward to helping you find your dream home! If you would like to book a dream oceanfront vacation, please go to www.HiltonHeadLuxuryVacations.com today. Live in Paradise! Our company, Hilton Head Luxury Homes, Inc., specializes in luxury real estate on Hilton Head Island - oceanfront property, golf view property homes, lots, and rental property. Visit our website at www.HiltonHeadLuxuryHomes.com . Our email address is HHLuxuryHomes@gmail.com. Call us at 800-414-7253 or direct at 843-384-7253. We look forward to helping you find your dream home! If you would like to book a dream oceanfront vacation, please go to www.HiltonHeadLuxuryVacations.com today.